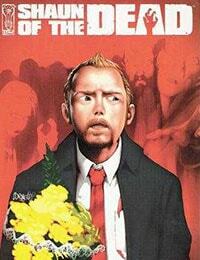 Shaun of the Dead (2005) Average 0.00/5 - out of 0 total votes. Presenting IDW's official adaptation of last year's wildly popular rom-zom-com (that's "romantic zombie comedy," of course!). This "director's cut" adaptation, produced with the full participation of the movie's co-writer/director and co-writer/star, Edgar Wright and Simon Pegg, will feature deleted scenes and other never-before-seen material.